Next Generation iPad: Apple – Another Amazing Image, What Is It This Time? Next Generation iPad: Millions upon millions of people are dreaming of what the next Apple Inc. (NASDAQ:AAPL) iPad will look like. While the same holds true for other devices from the company, including the iPhone, it is the tablet that is getting a lot of attention right now. While most people agree that the next generation Apple iPad will be making its way to market sometime later in 2013, nobody really knows what to expect at this point. 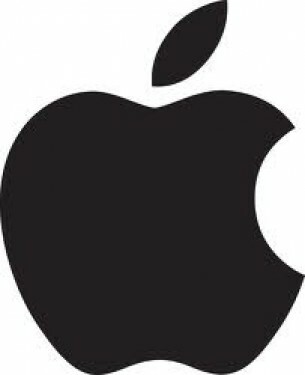 Nobody knows which changes Apple Inc. (NASDAQ:AAPL) has made, with both the features and appearance. Fortunately, for those who just can’t get enough, there are image leaks. This time around, Tactus has shared a purported image of the rear casing of the next generation tablet. We have tackled rumors like this in the past, hoping to share some information on what the next generation table is going to offer. Everybody wants a peak at the future, but as you know, Apple likes to keep things close to the vest. Before we show you the image, let’s talk more about what the next generation iPad may have to offer. It appears that Apple Inc. (NASDAQ:AAPL) is sticking with its popular 9.7 inch screen. That being said, you can expect much thinner bezels this time around. We agree. If Apple Inc. decides to move its display in this direction, it will definitely be more portable and convenient for users. After all, most consumers live by the mantra of “lighter is better.” If Cupertino uses an IGZO display, it can definitely make the device thinner and lighter than past generations. This alone is enough to generate plenty of buzz. Along with the above, don’t overlook the possibility of an 8MP rear facing camera, four Apple Inc. (NASDAQ:AAPL) models with varying storage options, and a new chip (A7X). Now for the moment you have been waiting for. If you want to see the full image, visit the second page.